Students can reserve a library room via a simple scan on QR code printed walls in campus; Commuters can read a restaurant menu by scanning QR code printed a panel that they passby daily; I can now scan a QR code printed on every bus stop to check the arrival of my bus without activating an app. That is the convenience of using QR code. 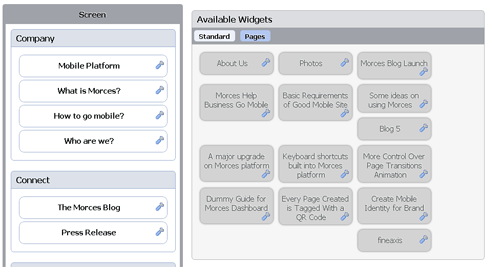 Today, we have published Morces app in Google Chrome web store. You can now add Morces as an extension in Google Chrome browser. 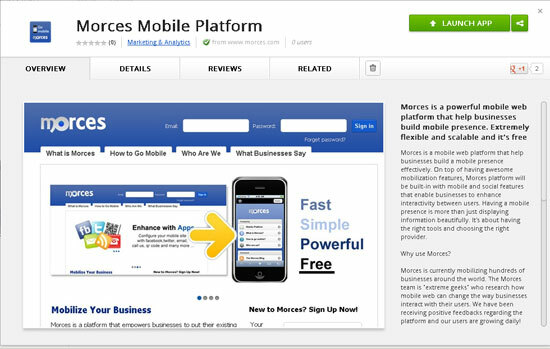 Be sure to add Morces in your Google Chrome and write us some reviews today. Grab! feature is now available! Things are really amazing when you see how technology can ease your development time. With Morces’ Grab! You no longer need to worry about messing up with your codes. It allows you to obtain web information from any source though simple clicks and that’s all! No more worrying about alignments and adjustment of size all processes are automated when you activate the Grab! Feature. We have improved the design of the widgets section under the mobile site module. To have a view of how the new widget section looks like. Go to Mobile Site > Widgets (Left Navigation). Below is a screenshot of the new widgets section.